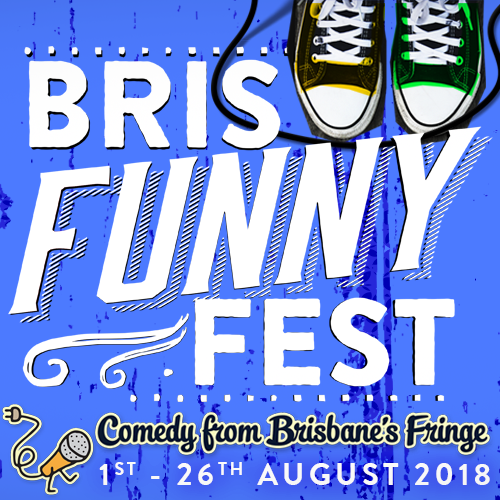 New Farm’s favourite sons hit centre stage for the ultimate comedy celebration of bachelorhood at Bris Funny Fest 2018. 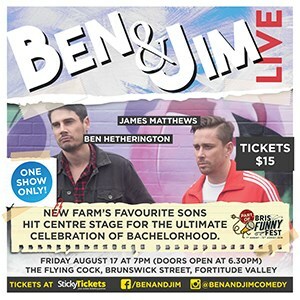 Following on from the success of their maiden sold-out 2017 Bris Funny show, Masculinity is a Prison, James Matthews and Ben Hetherington return to the stage for one night only as their web series alter egos, Ben and Jim, to regale their audience with fanciful tales of heterosexual male cohabitation. So gather up the worst people you know…like the very worst…and like heaps of them…get some tickets…and yeah…come to the show.